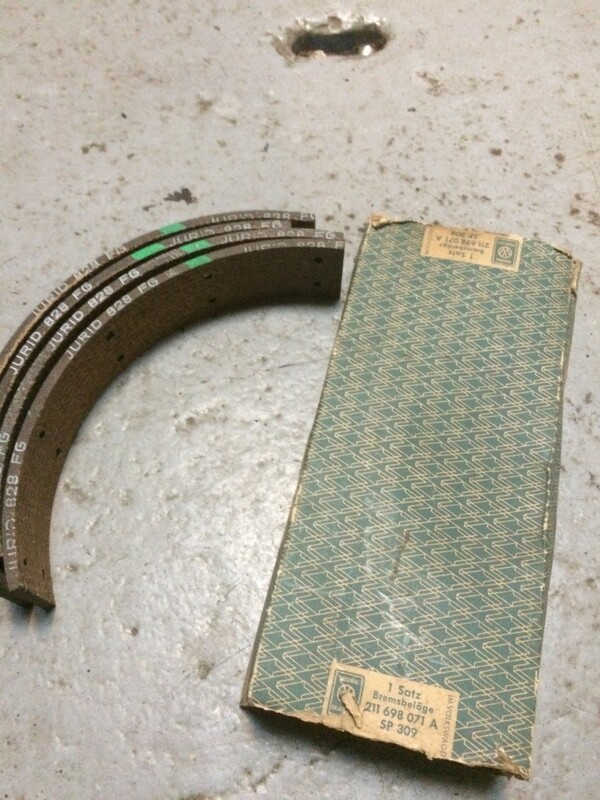 211 698 071 A , nos early bus rear brake pads. comes with box which is in ok condition.....dirty and misses both end caps. Shoes are new.